Warrington put in a strong opening performance at the M&D tournament beating Tyldesley in the first game by 6-4 - a significant win! We went on to face Chester next with a very strong performance and dominating possession and more attempts on goal but luck was not on our side and we lost out 3-0! Compared to our recent match against Chester which ended 23-3 to them and out can see a clear and pronounced improvement in performance. Chester went on to play Tyldesley in our group of three and, naturally we were rooting for a Chester win, but surprisingly Tyldesley pulled forward and secured a win! So all three teams ended the group 1 stages with a win! Unfortunately this put us into a goal difference situation which never truly reflects the team performance. There was some initial confusion with table officials reporting that we had come second in the group of three and therefore faced Bridgefield, however we were sceptical about this result and it proved in goal difference that we were third. This pitted us against Liverpool for the 5/6 position. In this final match I think we were the better team for sure but we ended 3-3. This led to some contemplation on the result and whether it would be decided on penalties but it was confirmed that Warrington took the 5th place position by default as Liverpool had been unable to present a full team and had borrowed players in order to compete - natural at this age group with focus being in participation - so no criticism of Liverpool. So Warrington took 5th place but did so with heads held high. In the last few weeks we have made great strides- we have 5 of our players attending regional academy which is providing a higher level of coaching and we have a new starter in Jack Moss, a Warriors Swimmer who is already made a significant contribution to the team. Overall I’m very satisfied with today’s performance and excited about the future if the current 12&u team as it transitions into 14&u next year. Fun Games, Foam Toys, Raft Challenge, Mini Polo, Big Ball, & more! Louis Stowell who has been selected for a trial at the national academy. Thomas Ghee, Lily Ireland, Isabella Smithson, Tilly Connolly, Fintan Lynch and Christopher Jones who all attended the NW Academy at Salt Ayre Lancaster at 7am Sunday morning! Congratulations to Louis Stowell who played for North West Tigers who won the Bronze medal after a penalty shoot out against London. Defending champions North West Tigers took bronze, winning 8-6 on penalties after the bronze medal match against London had finished 4-4 Louis scored the penalty to secure the victory! Thomas Ghee played for the NorthWest Ravens who also played in the competition, with the North West being the only region to field two teams. 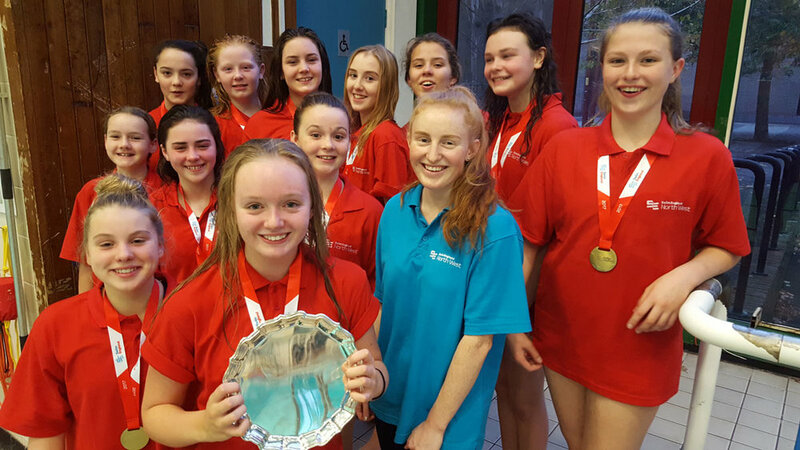 North West Thunder won the Swim England Inter Regional girls’ U14 crown for the first time at last weekend’s Championships in Walsall. Having stormed through the group stage with three wins from three, they defeated 2015 champions London in the semi-finals before a 7-4 victory over North East in the final. Thunder’s northern rivals proved a tough nut to crack in the final, holding them to 3-3 at half-time and 4-4 at the final interval. But a final quarter hat-trick from Harriet Dickens went unanswered in the fourth quarter as North West became the fourth different winner of the girls’ U14 title in as many years. We’re looking for good swimmers, boys and girls, to try out for our 2018 Water Polo teams (u13, u15 & u17 ages). 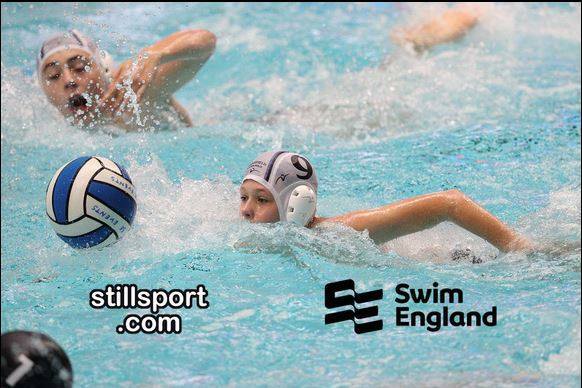 Water Polo is one of the most physically demanding sports there is – players need to tread water constantly, swim up and down the pitch and wrestle opponents all whilst trying to score goals – its ideal for children with lots of energy and great for physical development. Senior Players from our club have competed for team GB this year at the University Games in Taipei, and Juniors have competed in Malta at the ESSA Championships. We have players in all age groups competing at Regional level and on the National Talent Pathway. If you are swimming already with a competitive swim club, you can use your existing swimming skills to play a fast paced, competitive team sport, adding fun and excitement to your regular swim activity. Trials will take place on Saturday 6th and 20th January 6PM-8PM at Orford Neighbourhood Hub. We have spaces for Goalkeepers currently in our u13 and u15 squads so if you’re a football goalie, can swim, and would like to try out please come along. Contact us for details and to Register. Our last session will be on Monday 11th December, with no polo on Monday until our first session in the New Year on Monday 8th January. For water polo our last session will be on Saturday 16th December, with no polo on Thursday or Saturdays until our first session in the New Year on Saturday 6th January. Please note due to the above gala there will be no swimming or water polo at Orford over this weekend. Please make a note of the revised time and venue in your diary. Teams: Warrington, Radcliffe, Chester Saxons, Liverpool Thunder, Liverpool Lightning, Bridgefield, Chester Romans, L&D Allstars. Warrington were out in force on Sunday at the 12&U tournament with our best player turnout of the year so far - we were actually oversubscribed with 14 players on hand. Jaques and David were great sports agreeing to play for Liverpool & District Allstars to make up their team numbers. Warrington in Group A were playing first up against Radcliffe, a team who have been strong all season. It was a lively opening with good strong play from both teams. Two great goals from James B and Tom closing the first half 4-2 to Radcliffe. Second half saw a great save by Fintan and two shots on goal from Ella and Christopher just missing the target. Final score 6-2 to Radcliffe. Next up was Chester Saxons, and a fast and furious start with shots by Tom, James B and Laura not quite hitting the mark. However goals from James B (2) and Tom finished the first half at 1-3 to Warrington. Success continued into the second half with Warrington dominating Saxons. Great save by Fintan as the half started then James B and Christopher had shots saved by a great Chester keeper. James C then broke through scoring 3 goals in quick succession followed up with a final goal from Jess. Final score 2-7 to Warrington! Our last match in the group stages put us up against Liverpool Lightning. Warrington started strong with 3 goals in quick succession by Tom, Jess and James B. Unfortunately things went downhill - two lob shots from Tom narrowly missed and Liverpool converted on the break to equalise finishing the first half 3-3. Second half was tense and dramatic with spirited play from both sides. Tom missed an early lob shot then Lily scored for Warrington. Great save from Christopher as Liverpool continued to pressure us. James B and James C both had shots just wide then Liverpool fought back. Liverpool scored in last 10 seconds to make it 5-4 to them and hearts sank! Then with just 2 seconds on the clock, a lob shot from Tom at the half way line found its mark and as the clock went the scoreboard updated to 5-5. Shot of the tournament so far, and an exciting end to a competitive match Fantastic result for warrington against fierce opposition. With a win, a loss and a draw, our group position was decided on goals scored which placed us 3rd in group. In the playoffs we came up against L&D Allstars firstly. Good start from Warrington with Amy and Laura scoring to put Warrington 3-0+ up. Chester fought back with a late goal. A good save at the end from Fintan sees us 3-1 ahead. second half saw Warrington dominate with great all round play from all the team. Goals from Tom (2) James B (2) James C (4) and Christopher (1) sees the final score 12-1 to Warrington. Final match of the day saw Warrington take on Chester Saxons for 5th/6th place. Goals from Tom, James B (2) and James C put us 4-0 up at half time.Warrington continued to perform well in the second half with a number of missed shots from Jess, Ella and James C. Saxons were held at bay throughout the second half and we were unlucky not to have converted more attempts on goal. We ended with a satisfactory 5-0 win and placed 5th out of 8, which is a real improvement over previous tournament final placings. I caught the end of the Allstars match to see both Jaques and David scoring for their temporary team - well done guys! It was an epic day of water polo for Warrington under-16s on 12th November, with the L&D tournament, followed by a league fixture against Radcliffe. The tournament was held at Europa Pools, Birkenhead; the team faced some familiar opposition in the form of Bridgefield, Chester, Southport, Birkenhead and Liverpool. First match was against Liverpool, with goal-scorers Dom (4), Dan (4), Conor (2), Katie (2) and Emily I (1) the team won comfortably, with the final score at 13–2. In their second match the team faced Southport, the goal-scorers were Ben (1), Conor (4), Louis (1), Emily I (2) and Eleanor (1), final score was 9-1. These two wins put Warrington at the top of their group and playing against Chester in the semi-final. The winners knew they would be playing Bridgefield in the final. Goal scorers for Warrington were Dan (3), Ben (1) and Dom (5), with the final score at 9-1. The final was a close match, with Warrington taking the title 3-1. Goal-scorers Dom (2) and Ben (1). A full and busy afternoon of water polo for the team of Luke Atkinson, Conor Lynch, Ben Dailey, Dominic Richard, Katie Bowater, Emily Ireland, Eleanor Brear, Matthew Martin, Louis Stowell Emily Atkinson and Dan Farini, with Tom Costello coach. After a dash along the M62 to Bury, the under-16s team faced Radcliffe. With Conor in net, Luke won the swim-off and Katie was first on the score-sheet, quickly followed by Dan. Radcliffe attacked, Conor saved a lob-shot, and Ben was also quickly on the score-sheet. The hosts counter-attacked and scored. Luke swam up starting the next Warrington attack and Ben hit the back of the net. Conor threw a long pass to Dan, who sent the ball into Dom, and he scored. Katie scored next with a lovely lob-shot. Some confusion in the Radcliffe defence and Dom knocked the ball from the goalies hand and went on to score. Radcliffe defended the next attack again, but Luke went on to score. Radcliffe started an attack, Emily I intercepted a pass, before Dan passed back to Conor. Dom was in the pit but Radcliffe defended well. Ben took a shot but it hit the post. In the final seconds of the quarter Katie scored a magic goal from just inside the half-way point, to get a hat-trick. The score at the end of the first quarter was 1-9. For the second quarter, it was Dom’s turn to go in net and he made a diving finger-tip save in the opening minute. Katie had a shot saved, before Radcliffe scored. Luke was in the pit as Katie had another shot saved and Radcliffe started another attack. Emily A and Louis were superb in their defensive duties; Katie went on to score. The hosts got a man-up and took a shot which hit the post, they followed-up with a goal. Emily A blocked another shot, and the hosts got another man-up - this time they scored. Warrington got a man-up, Louis saw an opportunity and shot, but it hit the post. Radcliffe counter-attacked with a strong swim-up but the ball hit the post. The quarter ended 4-10. Dan was the next to wear the red hat in the deep-end - Radcliffe scored straight away. At the other end Ben took a shot, sending the ball wide; the hosts scored again. Warrington got a man-up and Emily Ireland took a shot but the ball was sent wide. Radcliffe scored again narrowing the gap. The host’s goal-keeper made a save, as Ben took a shot; Warrington went on to get another man-up, but failed to capitalise. Radcliffe were awarded a penalty and scored - the pressure was too much for Dan as he and Luke swapped hats. Warrington needed a goal and Conor scored from a back-hand shot. Dom hit the post, then went on to score. Katie defended well and Louis intercepted a pass. Warrington got a man-up, Katie made a great shot and scored. Luke was forced to make a save and Dom had a back-hand shot saved as the quarter ended. Score 8-13. In the final quarter, Warrington had the first attack and Louis took a shot. Radcliffe attacked and the visitors defended well as the attack ran out of time. Ben passed the ball to Dom who scored. Radcliffe got a man-up but Warrington defended well. Luke received the ball from Dan, and passed long to Ben who went on to score. Warrington defended another Radcliffe man-up. Dan passed to Dom, who scored. Eleanor defended well again. Luke passed to Ben who passed to Katie, who was closely marked so passed back to Ben. His shot went wide. Luke made a save and passed to Katie, she was held back and Warrington were awarded a penalty. Dom took the pen and scored. In the last minute of the match Radcliffe had the final attack. Warrington won 8-17. The player’s attitude and effort was fantastic all day long, although they were shattered by the time they had finished, especially some of the boys who had also played for Warrington Seniors in the tournament. A great days water polo! Presentation evening will be on Saturday 18th at Padgate Community Centre Padgate Warrington. Tickets are available at £4.00 per person from Maureen Appleby. If you have bought tickets and are unable to attend then please contact Maureen on 07864 629920 and let her know as there is a waiting list. Please could all parents make every effort to attend presentation evening to celebrate team and individual awards for swimmimg and water polo. 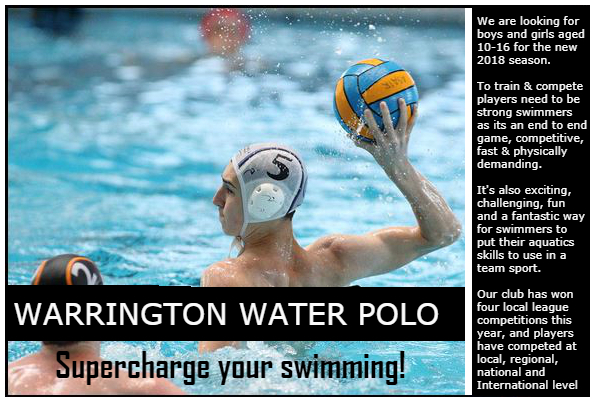 This year we will be presenting additional water polo awards to recognise our players achievements. Huge Congratulations to Warrington SWPC Players Louis Stowell and Emily Atkinson for their successes this weekend at the Under 15 Boys and Girls National Championships (NAG’s) held at Manchester Aquatics Centre. Louis playing for Bridgefield WaterPolo played in the final against City of Manchester to take 2nd place and a Silver medal. Emily playing for (City of) Liverpool Water Polo finished top of their group unbeaten before playing eventual tournament winners Newton Abbott - they went on to beat London Otter securing Bronze medal position. In addition Emily was recognised as Best Goalkeeper in the Girls tournament!! Its fantastic that players representing our club and region have competed and achieved success in this National Competition. Not a play by play match report as such more a summary to recognise Warrington’s effort today. We turned up at Stretford with just 5 14&u players Emily, Eleanor, Louis, Matthew and Evie - we drafted in 12&u players Lily and Tilly, fresh out of playing the 12&u match to make up our minimum team number in order to compete, so we were on the backfoot from the start. Stretford had a full team, and an experienced squad with 3/4 very capable City of Manchester and Regional players including Dan B, perhaps the biggest player in the league at this age group, so I started the match extremely apprehensive with an expectation of a major loss with a very large goal difference! Against all odds however Warrington, put in a fantastic performance, with every single player stepping up to the challenge - Eleanor started outfield and provided an early goal and put in a strong performance all round with some very unlucky saved shots - she swapped with Emily for goalkeeper duties after Q1 - Emily now playing out was on top form! She was feeding in from the back, closing down attacks in midfield and banged some in the net upfield - Eleanor was now keeping the ball out of our net and with her experienced game head on, guiding the team performance from the rear - at The end of Q2 Emily and I made a difficult decision to keep Eleanor in net and Emily out as that dynamic seemed to be working well today. Evie was playing centre back and was under real pressure from City of Manchester regular Ben. Despite defending the pit from an incorrect forward position for the first two quarters, she was managing to keep control of the situation and after a brief positioning pep talk was able to improve on this even further - Evie demonstrated strong, controlled, aggressive defending. Louis and Matthew seemed to be taking it in turns marking Dan, Stretfords big lad and the major threat - Louis was using his size to good advantage, agilely able to break free from Dan when in possession, but passes between Louis and Matthew were intercepted frequently by Dan in the middle who’s reach was able to pluck the ball out of the air mid pass - they persevered however and after Coaches advised them not to pass across Dan’s area, and keep the ball away from him, their passing improved with some great one-two runs on goal being setup, some of which succeeded others which were thwarted by a strong Stretford goalie. Matthew had lots of good attempts on goal stopped and Louis was bouncing his off the crossbar or shooting wide, unlucky, but we were attacking the Stretford goal on an equal ratio to them! Lily and Tilly both put in excellent performances, really stepping up to the challenge of playing up an age group - Lily is proving to be a fierce player, closing down any attackers that cross her path - often going in a bit too hard and conceeding the foul, but ensuring the opponents attack is halted - she clearly takes after her sister 16&u player and Coach Emily in this respect, and I could see she was already trying advanced moves like no-handed press. Tilly was instructed to stick on her player and dont let her get past her - she did so impressively and effectively kept her marked player out of the game for the duration of the match which helped us no end - superb effort and performance from both of these young players. Ultimately I had expected a real pasting and we ended up giving a very strong and highly populated Stretford Team a very competitive game, and I think considering the mismatch between us and Stretford in terms of player age and numbers, 14-7 was a very respectable score! This match stood out as my favourite of the season so far! Warrington 12&U travelled to Stretford Leisure Centre, Manchester on Saturday afternoon to take on Stretford in a B&D match. The team consisted of Tom, Christopher, Fintan, Lily, Tilly, Laura & Ella. Emily Ireland did a fantastic job of ensuring the team were fully warmed up, going through practice drills and target practice before the start. Thanks Emily!! Lively first half with good play from both teams. First shot on goal from Tom hit the bar. Stretford immediately hit back on the break scoring the first goal. Another shot on goal from Tom missed and Stretford again broke quickly and scored again. Several more goals from Stretford came in quick succession but Warrington continued to press and Tom was rewarded in the closing minutes of the first quarter with a great goal. Quarter 2 saw Stretford start the stronger with them scoring on the break. Fintan made a fantastic save as Stretford continued to press us. Several shots on goal missed by Warrington and a couple of good saves again by Fintan. Our defence worked well with Chris, Laura and Tilly continuing to frustrate the Stretford side. Continued pressure from Warrington saw us awarded a penalty successfully taken by Tom. It’s 10-2 to Stretford as went into Quarter 3. Despite Stretford taking an early goal at the start of the quarter, Warrington continued to press Stretford. A great save from Ella in goal for this quarter, and Tilly, Chris & Laura made some great tackles to disrupt Stretford’s play. Despite this Stretford had the better of the play in this quarter. Quarter 4 saw early pressure from Warrington with two shots on goal by Tom saved. Stretford continued to add to their goal tally punishing Warrington on the break. Tom made up for the earlier misses with two goals for Warrington and Lily added to this shortly later scoring a great goal too. Warrington continued to fight for each ball with all the team working really hard to the final whistle. Final score 28-5 to Stretford. 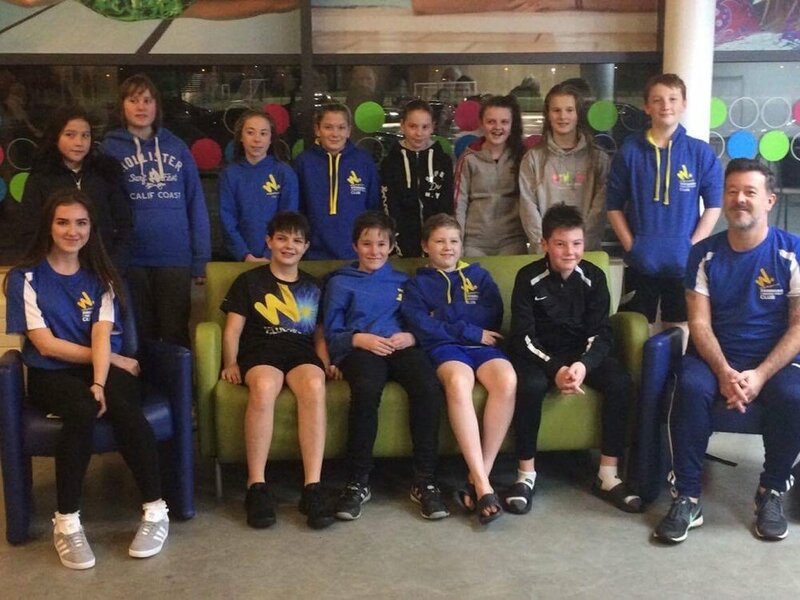 Warrington 12&U travelled to Austin Rawlinson Leisure Centre, Liverpool on Thursday evening to take on Bridgefield in a B&D match. The team consisted of James B, Tom, Lily, Christopher, & Fintan therefore as we couldn’t field a full side we conceded the match but went ahead and played with support by way of a Bridgefield player in goal for us and two further Bridgefield players for subs. This ensured the Warrington players continued to get match practice. A good first quarter from Warrington. The opening attempt on goal from Chris saved by the Bridgefield keeper. Good defensive work from Warrington but a shot on target by Bridgefield opened the scoring. A quick break saw Warrington level the score with a great shot by James. Sustained pressure from Bridgefield saw 4 goals in quick succession. 5-1 to Bridgefield as we went into Q2. Q2 saw Bridgefield start with a flurry of goals. Warrington stood their ground and Fintan and Chris played some great defensive work. A quick break from Warrington and a great shot by Lily went in the back of the net! Warrington continued to pressure Bridgefield with a missed shot from Tom just as the quarter ended. 10-2 to Bridgefield as we went into Q3. A solid quarter from Warrington. Really fantastic level of attacking and defensive work saw James score for Warrington. Pressure followed from Bridgefield but Chris, James, Tom, Lily & Fintan held firm for Warrington. Great attempts on goal from James & Tom and another missed shot from Warrington just as the quarter closed. 12-3 to Bridgefield as we went into Q4. Warrington came out positive and, not deterred by a couple of quick goals by Bridgefield, pressed on. A couple of quick breaks saw James and Tom add to the Warrington goal tally. Warrington continued to press right until the end with the last shot of the match from Tom just out of time. Final score 16-5 to Bridgefield. Quarters 3 & 4 saw Warrington really come together, play solidly, and keep the pressure on Bridgefield. They played well against a strong side. Speaking after the match Craig Stowell, Team Coach said “We did really well with low numbers against a very strong team and league cup favourites. With matches coming up against Tyldesley, Liverpool and Chester, as well as the Cheshire tournament, I am feeling positive, but the biggest challenge we face at present is player availability at matches – low numbers puts pressure on a small team and this impacts performance and leads to frustrations – if we can field a team at upcoming matches with just a couple of subs we will be stronger for it”. Warrington 12&U travelled to Castle Leisure Centre, Bury on Sunday afternoon to take on Radcliffe in a B&D match. A great first quarter. Warrington took the early lead with fantastic goal by James B. Two further goals by him and a great save from Fintan had Warrington 0 - 3 up. Pressure from Radcliffe in the latter half saw them score 4 goals. 4 - 3 to Radcliffe as we went into quarter two. A hard second quarter saw Radcliffe score 5 in quick succession. James B’s shot was saved and then Radcliffe added two more. Laura, playing in her first match, made a fantastic save then Lilly taking advantage of Radcliffe being a man down scored for Warrington as the quarter came to a close. 11-4 to Radcliffe as we went into quarter three. Emily did a great team talk after Q2 and Warrington came out positive and focused. Shots on goal by James C and James B were denied by the Radcliffe goalkeeper, and Fintan balanced this up making some great saves himself. Great defensive work from Jess, Lilly & Chris through the middle made it difficult for Radcliffe to get into a rhythm and James B added to his goal tally scoring another 3. Radcliffe came back at us with 3 themselves making it 14-7 to Radcliffe at the end of Q3. Q4 saw some good early saves from Chris but Radcliffe proved to have the edge over us with 4 more goals scored. Warrington continued to pressurise with good marking and tackling by all the team which kept the goal tally down. Final score was 18-7 to Radcliffe. Warrington played really well, showing great team spirit against a strong Radcliffe side. Finally, special thanks go to Emily Ireland (and mum Nicola!) who worked hard with the team to ensure they were fully prepared and played their best. Thanks Emily! Warrington under-16s played Tyldesley, on 16th September, welcoming their opponents to Orford Jubilee hub. Warrington defend the deep-end and are off to a good start as Dan intercepts, Ben is first on the score-sheet. Dom intercepts and keeps possession swimming up to score. Warrington get a corner, but the visitors defend well. 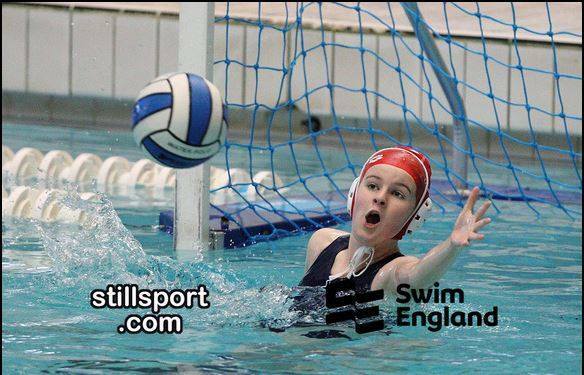 As Tyldesley attack, Emma defends well, Conor receives the ball and swims up. Dom shoots, but the Tyldesley keeper makes the save. Tyldesley shoot and it’s Luke’s turn to make a save. Warrington attack and as the clock runs down Dom takes a shot but the keeper sends the ball over the net. Warrington have a corner and Conor is fouled, but no goal. The visitors attack, but Warrington defend well. Conor sends a long ball to Emma. Katie passes to Ben, who passes to Dan, who scores. Brett sends the ball to Ben, who shoots but the ball goes high. Some superb play from the home-team as Dom passes to Katie, she returns the ball and Dom passes to Ben, he scores. Great stuff. Warrington attack again, this time Katie passes to Conor who scores. Tyldesley attack, Luke makes a save. Dom passes to Brett, who shoots but he hits the post. Conor passes to Katie, she passes to Ben, he scores. Tyldesley shoot, Luke makes a save and swims up. He shoots as the buzzer sounds, but he sends the ball wide. The quarter ends 6-0. Dom shoots and its saved, the visitors attack strongly. Warrington defend well and are soon on the attack. The visitors get a man-up, they set-up well Dominic takes the shot but it’s saved. Tyldesley defend well. Emma is under-pressure in the pit and the Warrington attack runs out of time. They soon regain possession and Emma takes a shot, this time sending the ball wide. Conor and Brett swim up, with Ben in support. Conor passes to Ben, who passes to Brett, who scores. Dom scores again, quickly followed by Brett who scores from a strong swim up. Luke makes a save. Emily is under-pressure and sends the ball to Ben, Dan is in pit, but the visitors defend well. On the next attack Brett passes to Dan who has time to shoot, but passes to youngster Louis, who is in space, and scores. On the next attack Dan swims up and passes to Dom, goal. Tyldesley attack again, but the Warrington defence is good and the attack runs out of time. The Quarter ends 11-0. Tyldesley win the swim-off, Emma and Louis defend well. Dan takes a shot but it goes wide. Tyldesley get a man-up and set-up well. Luke makes a save. Brett sends the ball to Ben, he scores. Luke passes to Louis, who passes to Brett who swims strongly to get into a great position and scores. Conor intercepts and swims-up, Warrington get a man-up. Good set up with Emily passing to Conor leading to a goal. Tyldesley put pressure on, taking a shot, Luke makes a save; same again. Dom passes to Katie who shoots, but it hits the post. Tyldesley are determined and score twice in quick succession. In the final moments of the quarter Conor passes to Dom, who scores. The quarter ends 15-2. Ben scores, quickly followed by Conor. Tyldesley shoot and Luke makes a save. Ben scores again. Ben passes to Brett who is in the pit - he scores. Tyldesley show great determination and defend well - the keeper saves a back-hand shot from Conor. Luke sends the ball to Conor and he scores. Another Warrington attack with Dom and Dan both trying to get the ball into the net, but the Tyldesley keeper does well and keeps it out. Dan scores, Conor also scores and the game is in the last minute. Tyldesley take a shot, but Luke saves. Warrington attack, no goal and Tyldesley have the final attack of the game. Final score 22-2.